language, as in the end we must. Donna’s comedy GOLDEN LADDER (with Amy Redford as Catherine) was produced Off Broadway at the Players Theatre, as was her first play, ANOTHER PARADISE. GOLDEN LADDER was published in Women Playwrights: The Best Plays of 2002 (Smith & Kraus) and copies are available through YouthPlays (www.youthplays.com). Lincoln Center Library for the Performing Arts. 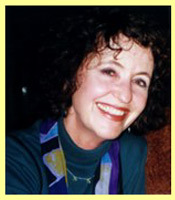 Her collection of poems, The Woman Who Married Herself, was published in 2010 through Evening Street Press. Click here for reviews from Midwest Book Review and The Pedestal (PDF format). She has written 17 full-length plays, a novel, 2 y/a novels, and many short stories. Donna lives in an old farmhouse across from a wildlife sanctuary.